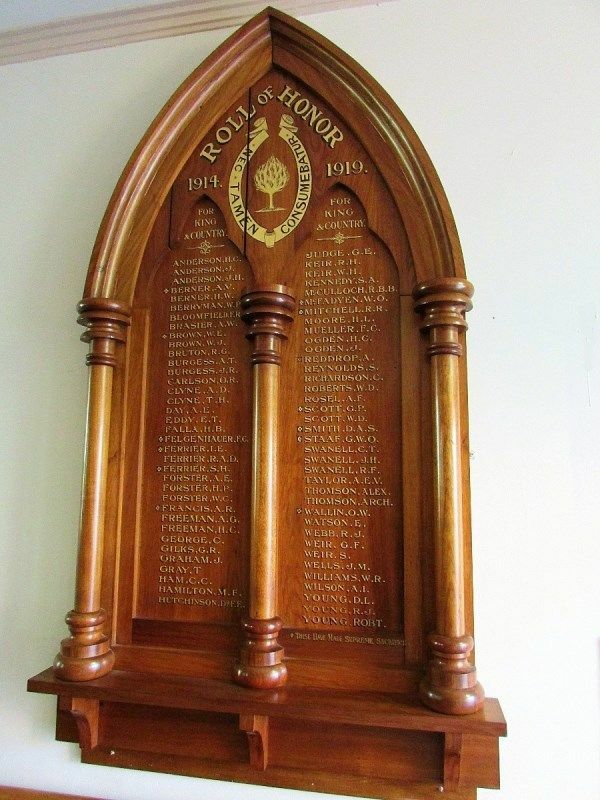 The wooden honour roll commemorates those from St Andrew`s Presbyterian Church who served in World War One. 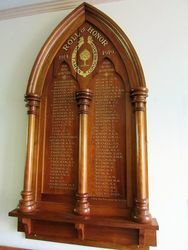 Echuca. 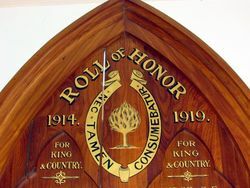 In the Presbyterian Church on Sunday an honor roll, bearing 73 names, was unveiled by Rev. J. Crookston, of Bendigo. Age (Melbourne), 29 July 1919.